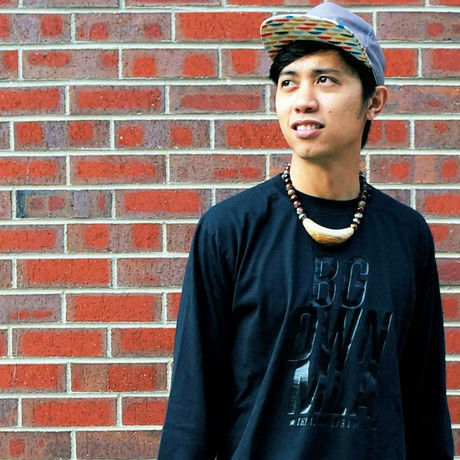 Meta Sarmiento is a Filipino poet and rapper from Guam. He is a National Poetry Slam semifinalist with Slam Nuba, a TEDx speaker, and winner of Spoken Word for the World 2015 where he was flown to Paris, France to perform poetry during the United Nations’ Climate Negotiations. His latest collection of poems, Tie Your Shoes Kid, reflects on cultural identity, toxic masculinity, love, loss, and healing, and is available for purchase on Amazon now. Savvy Global is a boutique creative recruitment consultancy with an international perspective on the ever-changing global market. With offices in Hong Kong, Singapore, New York, and Denver, our forte is providing permanent, contract, and freelance talent solutions in Architecture, Interiors, Digital, Media, Graphics, Product, Fashion, Marketing & PR. To wrap up an amazing year, five speakers chosen from our local community will give short talks about what CONTEXT has meant for them and their creative lives. The event this month will also feature a holiday theme including some festive drinks and attire. Wear your favorite holiday outfit if you’re up for that. See you on December 15th at Art Gym! Meta Sarmiento is a Filipino poet and rapper from Guam. He is a National Poetry Slam semifinalist with Slam Nuba, a TEDx speaker, and winner of Spoken Word for the World 2015 where he was flown to Paris, France to perform poetry during the United Nations’ Climate Negotiations. His latest collection of poems, Tie Your Shoes Kid, reflects on cultural identity, toxic masculinity, love, loss, and healing. For Meta, the theme of context is linked to concepts of origins & roots. Like so many of his peers, Meta was rooted in an urban culture that too often encouraged toxic masculinity. In his talk & poem, Meta interrogates this toxic context and offers a different perspective of masculinity. Rachel Bastarache Bogan is an entrepreneur, video editor and author. She is the founder of Renegade Digital Post, a video company providing post-production services to producers and filmmakers across the United States. In 2017, she wrote a book called “How to Edit Videos That People Want to Watch,” giving producers and video shooters the tools to create engaging content. Courage is a prerequisite for doing anything big with your life, career, or work. It’s courage that pushes us into the magic zone. In some contexts, courage even looks and feels like insanity. But if you’re not experiencing failure on a fairly regular basis, you’re not trying hard enough. Adrian Gonzalez is a Mexican-born writer, creator, brand strategist and taco aficionado. Armed with a degree in marketing and a passion for storytelling, I help brands connect with their identity and find the best way to share it. It’s mostly a lot of staring at Pantone palettes and saying things like “tasteful.” Creativity is infinitely fascinating, so I’m on a mission to learn as much about it as possible. Our self-identity is paramount in everything we do, from choosing the perfect brunch spot to mining our creative prowess in an effort to create meaningful work. But can someone’s life truly be meaningful when devoid of context? Adrian will present a story about the impossibility of living fully while keeping a large chunk of your story hidden in the dark - from everyone else and, most importantly, from yourself. Rhonda Spradling - During her 12 years in public K12 education, Rhonda Spradling has held a variety of roles—from teacher to technology coordinator to instructional coach. She now works at the central office where she builds and launches college and career programs for high school students. Despite her focus on student workforce readiness, Rhonda remains an English teacher at heart, and she continues to promote the arts and humanities as integral parts of a student’s education and lifelong well-being. Outside of work, you can likely find Rhonda painting, sewing, or playing piano in the basement. Real-world context is at the center of current educational trends, but what does it mean to be real, and what are the hidden dangers when we assume that students need only narrowly-defined real-world experiences? Kurt MacDonald - Science, writing, and speaking have always been a part of Kurt MacDonald’s life. After earning his graduate degree in Behavioral Neuroscience Kurt spent 16 years teaching science and co-directing one of the nation’s leading Speech and Debate teams at Kent Denver School. More recently, he founded NatureSays and co-founded The Professional Communicators.